Seven decades have passed since the Partition of 1947 and still remnants of it continue to linger only latently in public memories and histories. The forthcoming exhibition by The 1947 Partition Archive will unravel the memories of people who witnessed the days of the Divide. This multimedia exhibit will highlight the socio-cultural ethnography and memory of the Partition by bringing forth those voices that have otherwise been unheard: the story of a woman still living in a refugee camp, separated from her daughter due to the man-made border, how a city-wide BA exam was put on hold due to a referendum in Sylhet, how two brothers converted to Islam to remain on their land while their sister made her way across to India, and how two brothers travelled from Travancore State to the North-West Frontier Province in search of work and were stranded there due to the Divide. Each and every panel of this exhibit presents a unique first-hand experience and displays how the pivotal event that determined the subcontinent’s contemporary history continues influences society till today. These narratives are from all around the globe, with a special focus on subversive narratives through the lens of class, caste, and gender. 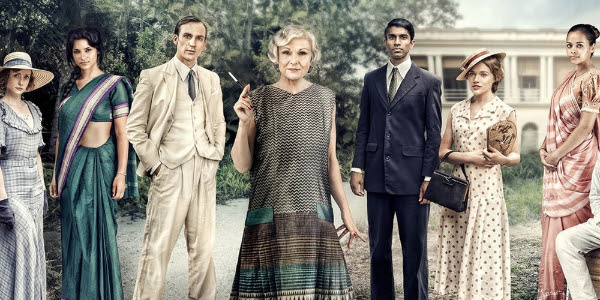 The choice of regional locations is diverse and also brings to light narratives of Partition that are often never considered as part of popular imaginary. Untold Stories invites, for the very first time, public audiences to engage with exemplary oral histories collected by The 1947 Partition Archive over the last 8 years. It is an exhibition that marries the notions of history, memoir, longing and belonging. The Partition of India in 1947 resulted in the largest mass-migration of people in the world till date. In recent years, testimonies of these migrations from those who witnessed the event have begun to emerge, resulting in a better understand of the Partition. Among these, the narratives of women- young and old- are imperative as they alert us on the impact the Partition had on familial life, on homes and ways of living. Women during Partition explores first-hand accounts with women who witnessed the Partition. Those who refused to leave until months after the Partition, and those who had to leave at just a moment’s notice. Through their stories, through the very nature of archival image, we learn about the circumstances of their migrations. We learn of family, education, the plight of refugees, and the most importantly, the notion of hope. 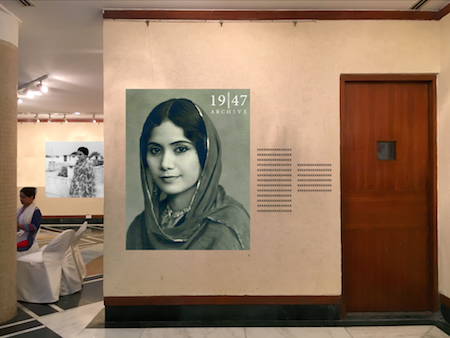 The 1947 Partition Archive is excited to announce an exclusive partnership with Bikaner House in showcasing oral histories through an exhibition curated by artist and author, Aanchal Malhotra, coordinated by Ritika Popli with design by Shilpa Narain and architecture by Siddharth Wadhwa. The educational public exhibition will also include a series of events including Voices of Partition, film screenings, photography and visual arts exhibitions, to commemorate the 70th anniversary of Partition. Lest we forget. For more information visit our Facebook page. 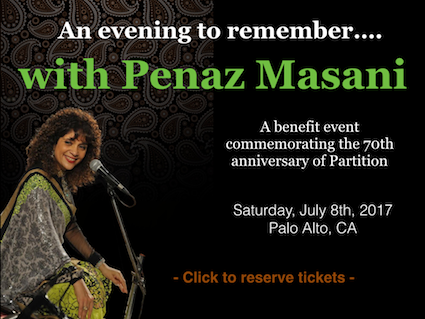 Join us for an evening of ghazals by Penaz Masani, sung to commemorate the 70th anniversary of Partition this year. This is a benefit event. Join us on Wednesday, Feb 22 & April 12 at a workshop that attempts to answer this increasingly important question: How do we memorialize Partition in a manner that is ethical but also educational? The second day of the workshop will be held on April 12 at the Arts Faculty, Room 56, University of Delhi. Registration will be on site. Thank you to volunteers for making Voices of Partition in Bryn Mawr possible: Bilal Ezzeddine, Dr. Reena Banka, Sahil Banka, Salma Khan, and Suruchi Keenheel. Dr. Amber Abbas of St. Joseph's College, Dr. Benjamin Hokpins of the GW Elliot School, and Dr. Guneeta Singh Bhalla founder and director of The 1947 Partition Archive. Thank you to everyone who made Voices of Partition in Mumbai possible! Aalisha Sheth, Ashwini Chowdhury, Bomi Kim, Fwishali Basumatary, Joanne Pereira, Jones Thomas, Dr. K. M. Parivelan (Associate Professor, TISS), Kaveri U., Kavita Bulani, Nita Bulani, Raunak Bajaj, Sohail Sankalp, Srishtee Sethi, and Vidushi Kaushik. Thank you to California Humanities for sponsoring Voices of Partition in Milpitas. Thank you to all the volunteers who helped make Voices of Partition in Kolkata possible: Aditi Das, Ankita Bhattacharya, Arnab Ghosh, Bihongi Biswas, Bijetri Dutta Majumder, Deborshi Chakraborty, Dipayan Roy, Hansha Jaiswal, Moumita Banik, Pranoy Pal, Panchanon Poddar, Professor Rimi Nandy, Rumki Chakraborty, Sarita Bose (moderator), Somdutta De, Souvik Ghosh, Shreoshi Mitra, Sumallya Mukhopadhyay, Tamasa Ghosh, Udayan Das, and Utsa Bhattacharjee. 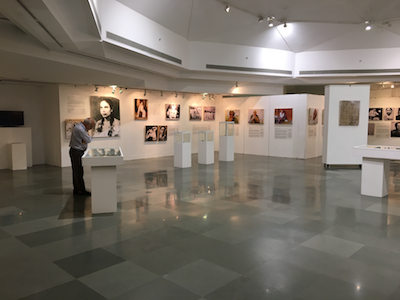 Thank you to volunteers who hepled make Voices of Partition in Delhi possible: Gaurav Khandelwal, Naman Kapuria, Mishika Nayyar, Mukul Pankajmani, Palak Sahni, Ria Dantewadia, Ritika Popli, Shruti Gakhar, Srishtee Sethi, and Sumedha Grover. Speaking: Dr. Amber Abbas (St. Joseph's Unviersity), Dr. Debanji Bhattarcharyya (Drexel University), Dr. Shreeyash Palshikar (Albright University), Dr. Samira Mehta (Albright University), and The 1947 Partition Archive Founder and Director Dr. Guneeta Singh Bhalla. Thank you to the volunteers who helped make this event possible: Elaine Jones, Sucheta Korwar, and Yvonne Eadon. Voices of Partition at KQED's Indian Summer Preview in Milpitas, CA. Panelists: Ali Shan and Ravindar Chopra. Thank you to the volunteers who helped make this event possible: Bomi Kim, Catherine Supnet, Elaine Jones, Graham Gilmore, Trinh Duong, Saba Taquir, and Yvonne Eadon. Panelists: Dr. Vishin Jotwani, Saiyed Irfan Ahmad, Fauzia Parviz, Major Jagjit Singh, and Iram Nawaz (Citizen Historian). Thank you the volunteers who helped make this event possible: Bomi Kim, Catherine Supnet, Elaine Jones, Graham Gilmore, and Trinh Duong. 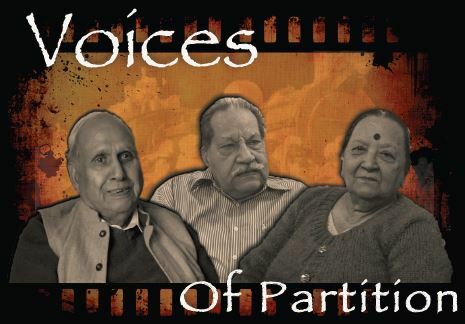 Join us along with the University of Washington's South Asia Center in Seattle, as we explore the 1947 Partition via storytelling by witnesses sharing their stories, story collectors sharing their experiences and academics sharing new insights. We would like to thank the South Asia Center at the UW for hosting the event. We thank our hosts Archana Verma and Jeff Siddiqui, as well as the volunteers who helped make this event possible: Aarti Khanna, Hira Haqar, Sabika Makhdoom, Trinh Duong, Catherine Supnet, Elaine Jones, Rai Nauman Mumtaz, and Ramish Patel. Join us at the India Habitat Center in Delhi as we explore the 1947 Partition via storytelling by witnesses sharing their stories, story collectors sharing their experiences and academics sharing new insights. Join us at the Berkeley Skydeck as we explore the 1947 Partition through a special screening of survivor footage followed by witnesses sharing their stories. Panelists include: Mr. Ali Shan, Dr. Om Juneja, Mrs. Raj Jaggi, Dr. Zafar Afaq Ansari, Dr. Vishin Jotwani, Dr. Ismat Kamal, and Mr. Madan Lal Ghai. Location: Online only, via Google Hangouts. Registration: Pre-registration required. Click here. Baylands Park, Sunnyvale, CA Visit our Booth at Sevathon 2013. Expo: Visit our Booth at India Now 2013. Convention: Visit our Booth at NASABA 2013. Expo: Visit our Booth at the TieCon Expo. Booth courtesy TIE Silicon Valley. Berkeley Skydeck, University of California, Berkeley, CA Location: UC Berkeley Skydeck. - 11:30 am - Benefit Luncheon with Dr. Bapsi Sidhwa, author "Cracking India"
- 4:00 pm - Film Screening, "Earth" based on "Cracking India"
Location: UC Berkeley Skydeck. Online stream available. Location: Community Room of Downtown Berkeley Public Library. Next to Downtown Berkeley Bart. Online stream available. 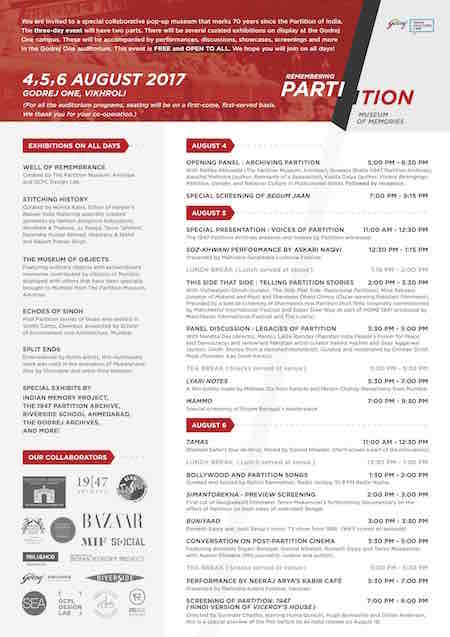 Details:We are excited to present this first annual celebration of ancient Indus River heritage and culture. This event is held in equal partnership with The 1947 Partition Archive, India Community Center in Milpitas, CA and the Pakistani American Cultural Center in San Jose, CA. Join us in discovering our shared histories. Location: Community Room of Downtown Berkeley Public Library. Next to Downtown Berkeley Bart. Details: This workshop is required for all aspiring interviewers. The workshop will also be available remotely to those who choose to login via Skype. Please send a message via our contact form. The workshop covers proper etiquette, techniques for asking open ended questions, properly formulating questions, camera work and equipment usage and more. Learn about conducting oral histories in a group setting and meet other interviewers. Join us! Details: Informational/awareness booth. Volunteers reach out to Partition survivors and the Sikh community in California's Central Valley. Visit our booth! Details: This workshop is required for all aspiring interviewers. The workshop will also be available remotely to those who choose to login via Skype. Please send a message via our contactform. The workshop covers proper etiquette, techniques for asking open ended questions, properly formulating questions, camera work and equipment usage and more. Learn about conducting oral histories in a group setting and meet other interviewers. Join us! Details: Informational/awareness booth. Volunteers reach out to Partition survivors and the Muslim community in the San Francisco Bay Area. Visit our booth! Baylands Park, Sunnyvale, CA Run or walk to support the collection of Partition stories. Sevathon 2011 is an all day event with activities and running/walking opportunities for all ages. 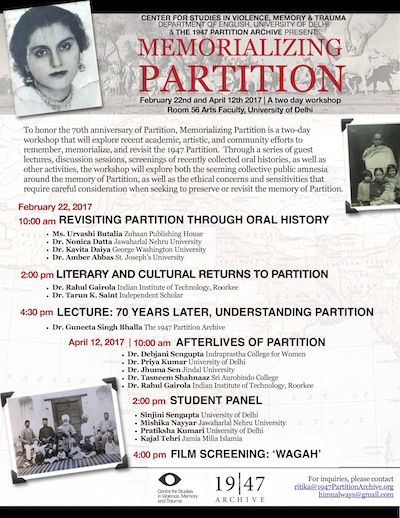 Register today and support "The 1947 Partition Archive." Learn more: http://www.indiacc.org/sevathon<> Contact usto volunteer for this event! Fresno, CA Details:Informational booth. Interview sign-up opportunity for Partition survivors, migrants and witnesses in Fresno valley. San Jose, CA Details:A play on Partition produced by Naatak. The 1947 Partition Archive partnered with Naatak by facilitating a panel discussion with Partition survivors following each performance.